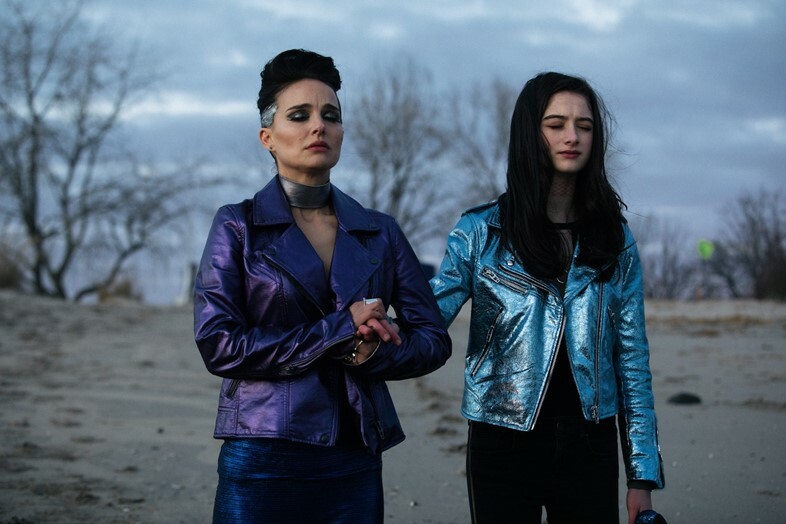 Brady Corbet’s dark new film Vox Lux traces the story of pop star Celeste, whose music career is born out of a tremendous act of violence. Having survived a high school shooting, the young student writes a song about the tragedy, which brings about a stratospheric rise to fame. Cut to 20 years later, and Celeste (now played by Natalie Portman) is an international superstar – hooked on drink and drugs, and seemingly teetering on the edge of a breakdown – preparing for a huge comeback tour. At the same time, gunmen halfway around the world carry out another act of terror, wearing masks that may or may not be inspired by one of Celeste’s music videos. When it came to giving Celeste a look worthy of a megawatt star, Corbet turned to costume designer Keri Langerman. 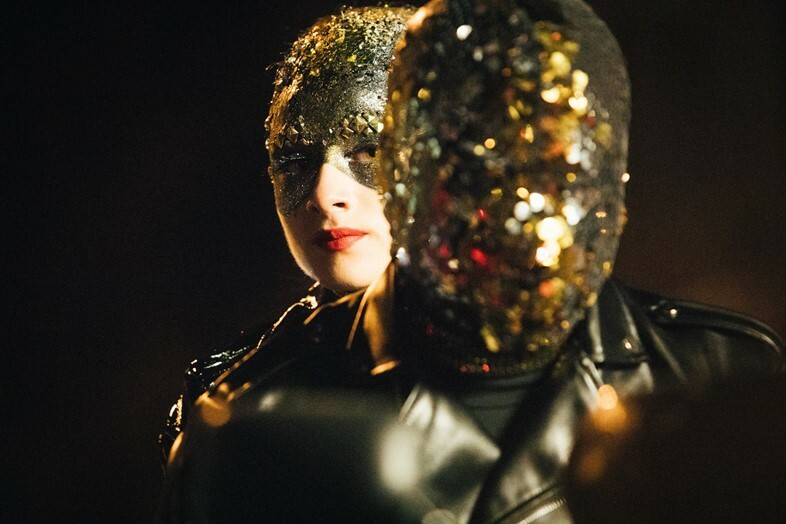 In line with her troubled beginnings, Langerman dressed Celeste in a lot of black, accentuated with dramatic glam rock-inspired accessories – including, notably, at one point, a jewelled face mask. Given Celeste covers her neck at all times, owing to injuries sustained during the earlier high school shooting, the character presented some interesting limitations. Wary of leaning into what she calls ‘the dying fad’ of chokers, Langerman instead experimented with jewellery, ruffled collars, and, perhaps most evocatively, a simple piece of fabric, tied just-so. “There's this image of Debbie Harry where she's wearing a piece of fabric tied around her neck, and it’s so effortless and cool,” Langerman says of her inspiration. Because Portman is vegan, all of Celeste’s costumes had to be completely animal-free, meaning rock mainstays of leather trousers and dramatic fur-trimmed jackets had to be swapped out for faux materials – which, according to the costume designer, are surprisingly hard to make work on film. Ahead of the film’s US release this weekend, here Langerman pulls back the curtain on how some of Celeste’s most iconic looks came together, and what it took to build a totally original pop star from the ground up.